Conveniently situated on the slopes of Mt. 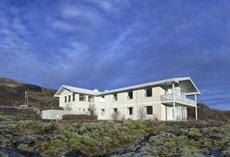 Hengill overlooking the Lake Thingvallavatn, Icelandair Hotel Hengill is just 30 minutes from Reykjavik. Icelandair Hotel Hengill offers 22 well furnished rooms painted in enlivening colours that are equipped with modern amenities such as telephone, colour TV, radio and wireless internet access. Guests can enjoy delicious breakfast served at the onsite restaurant and is a suitable place to relax over a meal. They can relish having energising muesli, juices and teas served at the house bar of this property.